April has begun already, but the weather is still warm here in Brisbane. The nights are a little cooler, but Autumn is really taking its time in starting off. 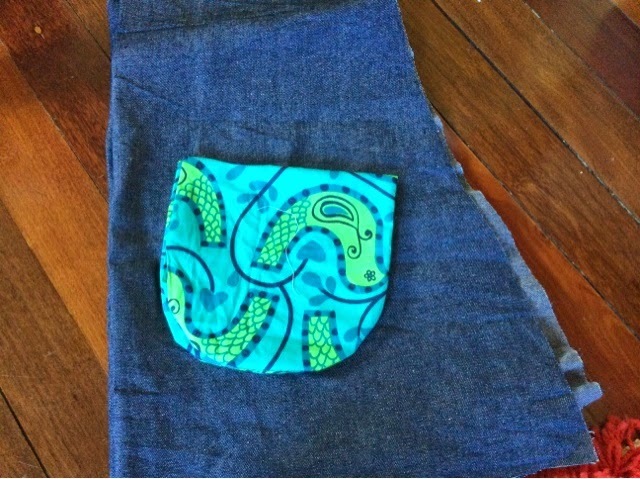 Luckily, because it's given me a little bit of extra time to sew some new clothes for the kids. 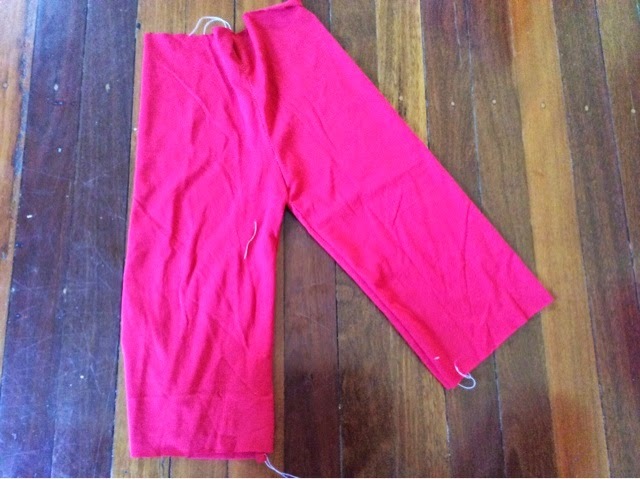 Richie is the one who benefits the most - boys pants are so easy to sew. I guess dresses are too, but with our lifestyle of lots of outdoor play, Mia rarely gets the opportunity to dress up and wear pretty dresses. I'm making her a couple though. 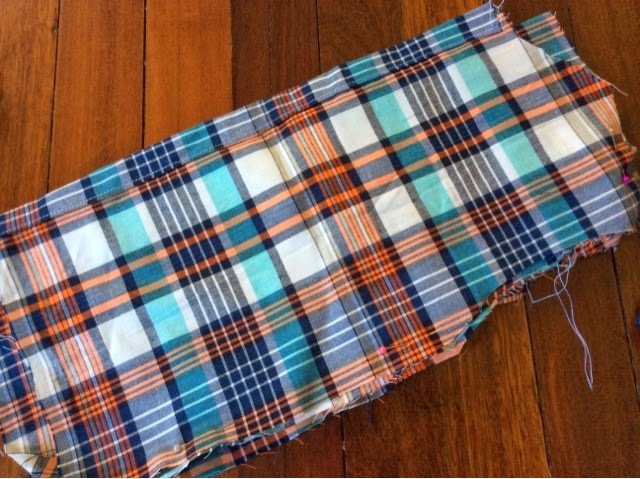 I'm using the check fabric above to make a long sleeve, collared shirt for Richie. Last year I made him a really cute little dinosaur short sleeved version. It was a bit on the short side though, so hopefully this will fit him for longer than that one did. I picked up this retro bird fabric a while ago on sale, already picturing it on denim as a dress for Mia. I've made quite a few metres of bias tape too, so it should really brighten up this dark denim. Richie's favourite pants of this time last year were a bright pair of easy dinosaur pants. I picked up some more of the fabric on sale a while back, so I'm making him another pair for this year. They make a nice change from the navy blue and greys pants that are standard for boys in winter. I wasn't sure about the red, but I had a few scraps left over and thought I'd make them up. They look so cute on Richie! They're the perfect park or child care pant. So comfy and easily washed. The denim and robot combo are going into some more pants for Richie. I totally underestimated how cute these would turn out (I'll post some more up to date pictures soon). 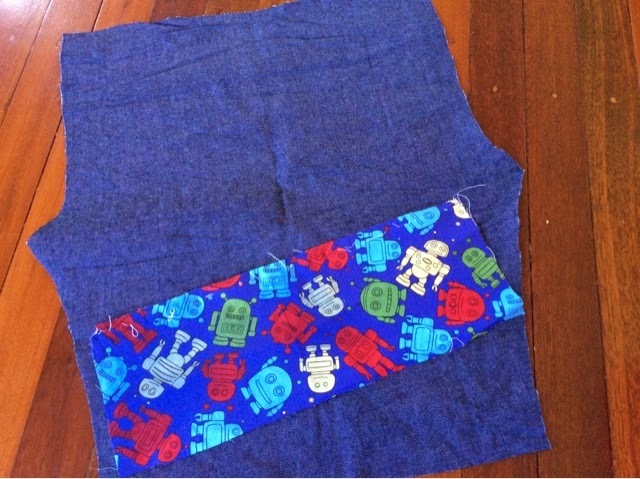 I put the robot strips along the bottom hems and have also put on robot pockets. The denim is a lighter weight fabric picked up on a half price sale, the lighter weight is perfect for our Brisbane winters where the sun still keeps the days quite warm. 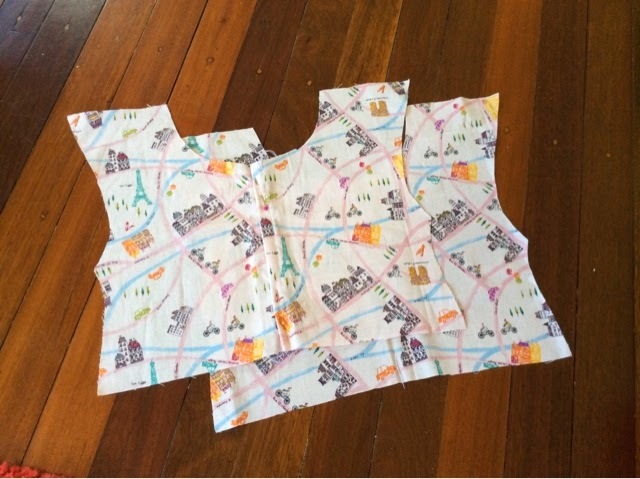 Mia's second dress is made out of this cute zakka fabric with a Parisian print. I picked it up on sale with no idea what to make out of it (and still the pattern is mostly on my head). So far I've got a bodice, but the plan is to pleat the skirt part. I've made it loose fitting so we can fit long sleeves and leggings underneath. 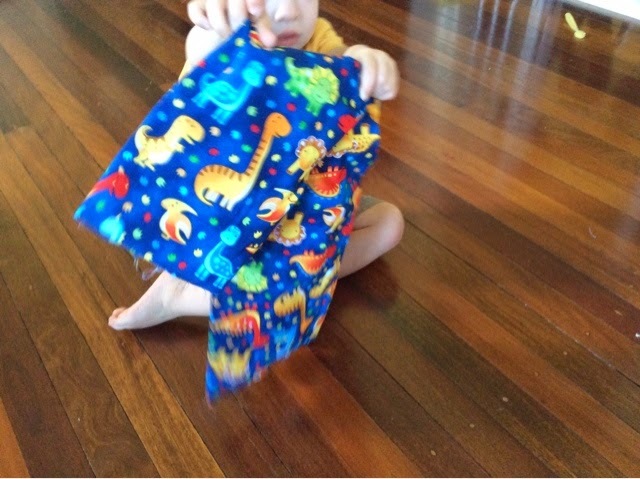 So happy to be sewing again!